Stunning Spec! Full Mercedes History. 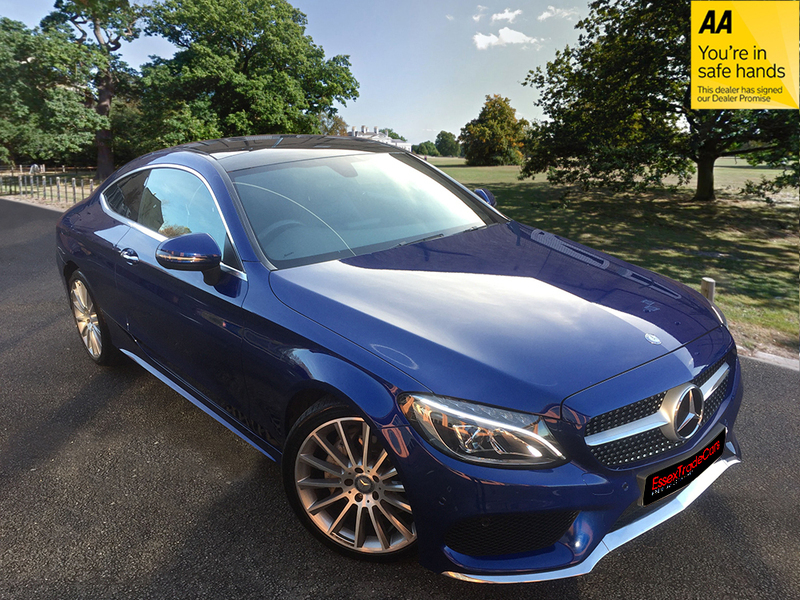 Mercedes C220 AMG Line Premium Plus 2 dr Coupe Step-Automatic, finished in Blue Metallic, with contrasting Anthracite Electric Leather Seats. This "Top of the Range" Coupe is Loaded with Factory options, including Panoramic Roof, SatNav, Rear Parking Camera, Electric Tailgate Close, Heated Electric Leather etc etc... It also benefits from a Full Mercedes Service History, and is HPI Clear. (ASK US FOR A LOW RATE PCP/FINANCE QUOTATION TODAY! CALL NOW on 01245 482 061, or 07887 777 739 for Further details on this Stunning Example! Fully Comprehensive Extended Warranty from Just £499 a year, inc AA Breakdown for the first year!